Treatment lasts 1 1/2 hours (full body). 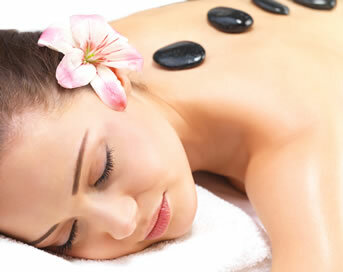 Enjoy the comforting, nurturing experience of a luxurious, pampering hot stone massage. Penetrating heat from smooth, oiled and warmed natural basalt stones is used to relieve tense muscles and sore joints. The placement and use of hot and cold stones to massage deep into tense muscles is very therapeutic, enhancing circulation, deeply relaxing and detoxing. Combined with Swedish techniques, this treatment goes beyond the physical, creating an unforgettable experience. Cocooned in warmth, float into a deep state of relaxation and meditation – simply blissful. Remedial Stone Fusions is a 1 hour treatment that involves a full remedial, back, neck and shoulders massage, then the tight muscle groups identified with the remedial massage are revisited with the oiled, warmed stones. Finishing with a hot stone of the legs and feet. Just the right mixture for people on the go. The combination of hot and cold stones and the ancient energy in the natural basalt stones is very special. Combined with the luxury of pure essential oils, hot stone treatments are blissful, luxurious, cleansing and deeply relaxing. Spoil yourself – feel the stress melt away.